These professional organizations host annual conferences and events. Visit their sites for detailed information. American Association of State Colleges and Universities A Washington-based higher education association of nearly 420 public colleges, universities and systems whose members share a learning and teaching-centered culture, a historic commitment to underserved student populations and a dedication to research and creativity that advances their regions’ economic progress and cultural development. Annual Conference on Distance Teaching and Learning An annual conference that provides an exchange of current resources, research, and best practices from around the world that are relevant to the design and delivery of distance education/training. Association for the Advancement of Computing in Education (AACE) An international, non-profit, educational organization with the mission of advancing Information Technology in Education and E-Learning research, development, learning, and its practical application. Association for Educational Communication and Technology (AECT) A professional association of thousands of educators and others whose activities are directed toward improving instruction through technology. Association for Talent Development A world’s leading association of workplace learning and performance professionals, forming a world-class community of practice. EDUCAUSE A nonprofit association whose mission is to advance higher education by promoting the intelligent use of information technology. EDUCAUSE Learning Initiative (ELI) A community of higher education institutions and organizations committed to advancing learning through information technology (IT) innovation. National University Technology Network (NUTN) An organization that provides networking and professional development opportunities for innovative leaders in the advancement of teaching and learning. New Media Consortium (NMC) An international not-for-profit consortium of learning-focused organizations dedicated to the exploration and use of new media and new technologies. Online Learning Consortium (formerly Sloan-C) An organization focused on helping institutions and individual educators improve the quality, scale, and breadth of online education. Society for Information Technology & Teacher Education (SITE) An international, educational, and professional organization dedicated to the advancement of the knowledge, theory and quality of learning and teaching at all levels with information technology. Society for Applied Learning Technology (SALT) An organization that is oriented to professionals whose work requires knowledge and communication in the field of instructional technology. The eLearning Guild The eLearning Guild is a community of practice for designers, developers, and managers of e-Learning. The League for Innovation in the Community College The League for Innovation in the Community College (League) is an international nonprofit organization with a mission to cultivate innovation in the community college environment. United States Distance Learning Association (USDLA) An organization that serves the distance learning community by providing advocacy, information, networking and opportunity. WICHE Cooperative for Educational Technologies (WCET) An organization that accelerates the adoption of effective practices and policies, advancing excellence in technology-enhanced teaching and learning in higher education. Please join ongoing discussions related to this topic with colleagues in the TOPkit community of practice. This is a great opportunity to ask questions, seek feedback, or share effective practices with an active, global professional community. 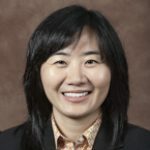 Dr. Baiyun Chen is a Senior Instructional Designer. She leads the Personalized Adaptive Learning team at the Center for Distributed Learning at the University of Central Florida.